We're pretty sure that you gasp each time you watch either footage from the Erzberg Rodeo in Austria or Red Bull X-Fighters action from other venues around the world. How about being able to enjoy a motorcycle racing event that combines elements from both of the two iconic off-road competitions? The Red Bull X-Fighters arrives in Greece for the first time, and the organizers, with massive local support, thought to make it an experience nobody will forget easily. 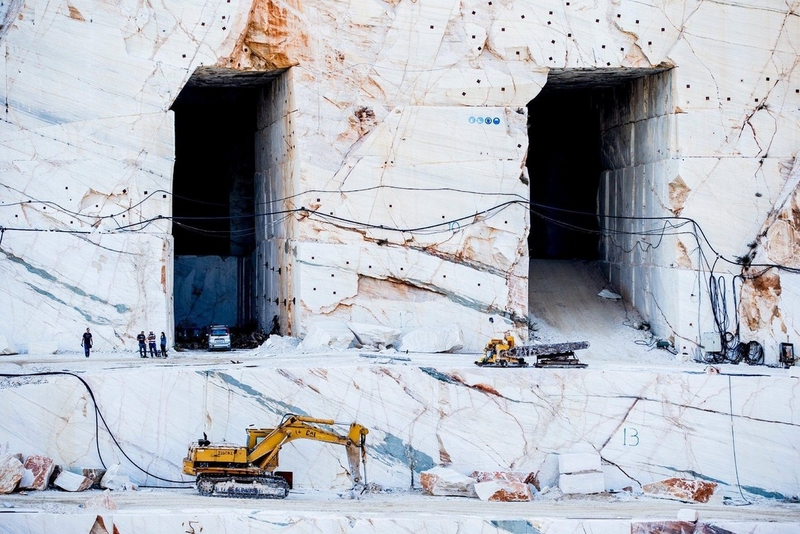 The extreme racing event will be held in the ancient Dionysos Marble Quarry at the heart of the Attica region. The Dionysos quarry has been active since the 5th century BC, and it is still partly operational. This amazing structure provided the premium Pentelic marble used for crafting many of the famous statues in antiquity and the first Parthenon on the Acropolis hill in the Greek capital Athens. Multiple other ancient temples also sport marble excavated here, and this adds more weight to the upcoming event. Marble from the Dionysos quarry is currently being used in restoration jobs of major historical sites all over Greece, too. The quarry opening measures 350 by 230 meters (1,150 by 755 feet), and a three-level FMX "playground" will be designed in the 80-meter (262 ft) deep pit. Reb Bull X-Fighters action will kick off on June 12th, and it looks like the producers of this awesome event also found a way to preserve the site. A good proof that even some of the most extreme motorcycle competitions can be staged in sensitive locations safely and with minimal impact if any at all. Can't wait to see the slow-motion HD footage from this weird place (for a bike race).